1916, Washing Gold. Library of Congress. Watched the Monk gold episode, “Mr. Monk Gets Married,” with William Sanderson. 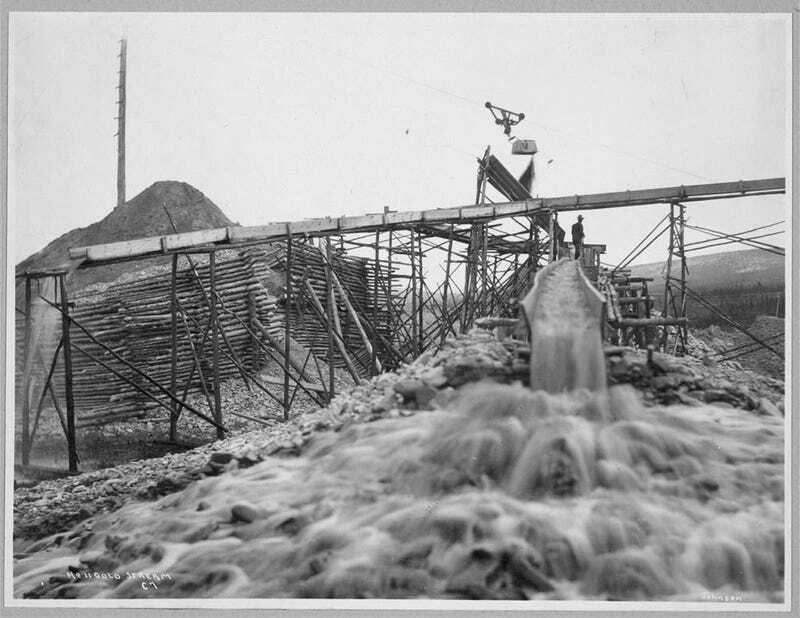 Gold dredge / from a photograph by Bradford Washburn. 1 photographic print. | Gold brick(?) and scale. Gold Hill, Nevada / T.H. O&apos;Sullivan, phot. J246818 U.S. Copyright Office. No. 24247. 1 photographic print. | Five men (some holding pick axes) standing next to a wagon pulled by oxen. 1 photographic print. | Woman panning gold and 3 men standing on bank.